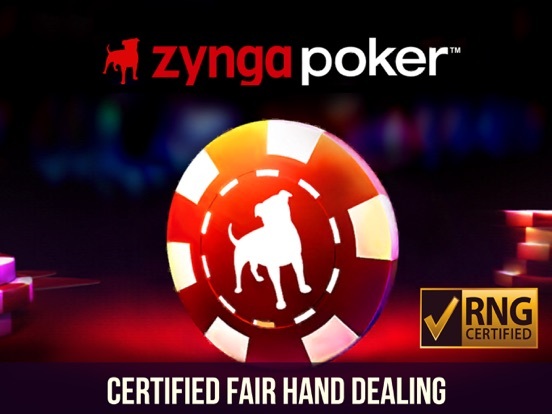 Zynga Poker is a casino app developed by Zynga Inc. that currently has one of the largest gaming communities in the world. This app is available for both iPhone and Android devices with an emphasis on realistic gameplay and fun daily rewards for being a user of the software. 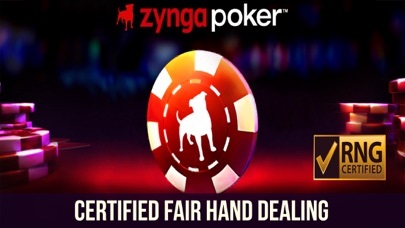 Zynga Poker also takes advantage of the connectivity provided by mobile devices and gives players a chance to compete against each other through social media and other online platforms. Due to its immense popularity, the application is constantly being updated and offers fast support for players who may experience technical issues during use. 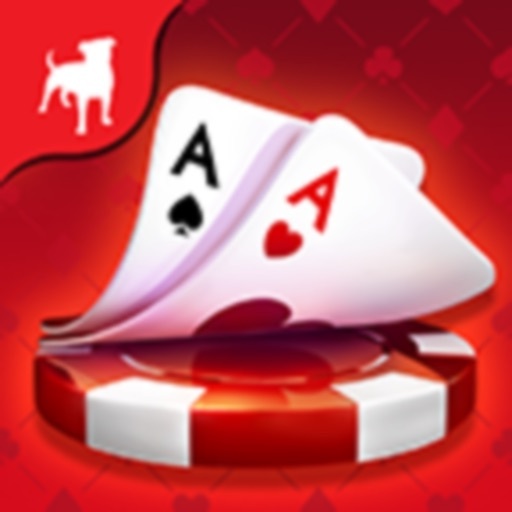 The Zynga Poker app mainly focuses on the game of Texas Hold ‘Em, given its rise to popularity in recent years. 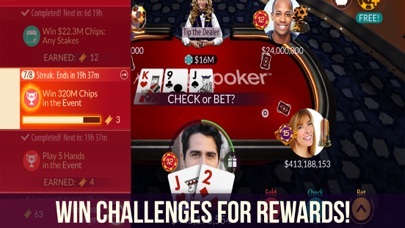 Players will experience features on the application that range from a classic Texas Hold ‘Em game to more advanced versions of this style that contain higher stakes and faster gameplay. 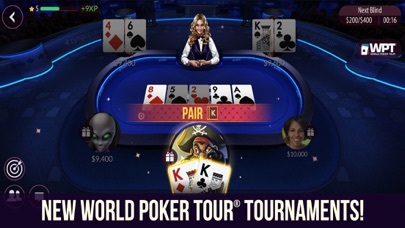 One unique characteristic of the games’ layouts is that the virtual tables are officially certified to be just like those in Las Vegas. Even through the pocket-sized format of a mobile application, players still receive an authentic setting that is as close to the real thing as it gets. 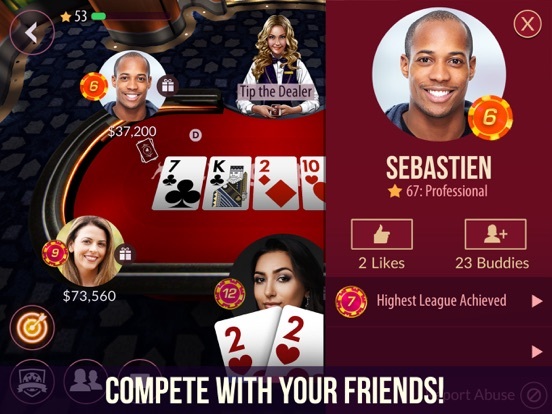 Players who are interested in the social aspect of Zynga Poker will be glad to know that the application supports various poker leagues that anyone can join, based on their skills and preferences. This social part of the app include competition that are held at various times throughout the year, as well as an opportunity for players to meet new people and make new friends while gaming. Social media sites such as Facebook allow the player to sign in directly using the same account, and they are also able to share their scores and progress with others across the internet. 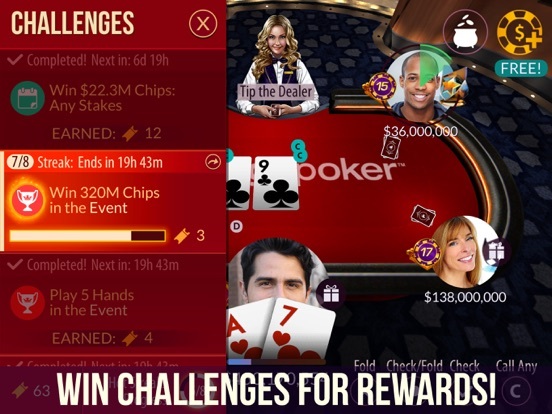 As a way to bring in new players, the Zynga Poker casino app gives everyone who signs up a free sum of chips that totals 60,000. Players also have a chance of receiving part of up to $45,000,000 in daily bonuses and prizes. 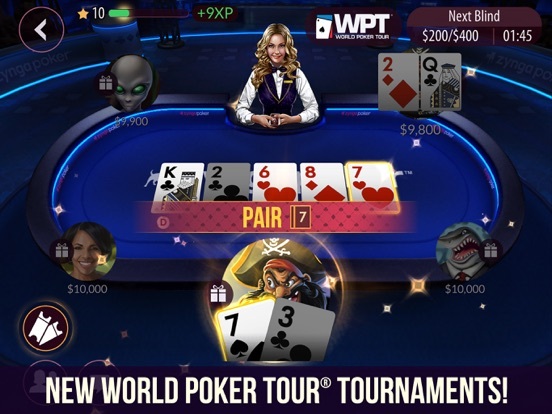 The app focuses on frequent promotions and gives away more free chips and extras on a weekly basis, and players can sign up for notifications regarding when these events are taking place. 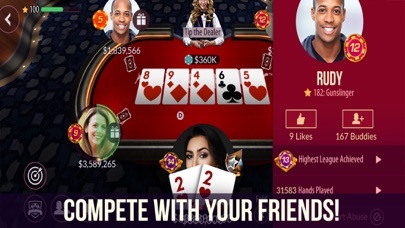 Because of its strong presence on social media, Zynga Poker has dedicated Facebook and Twitter pages where players can share their experiences with the app and ask question directly to the developers.